"M West" - West Midtown Sophistication! 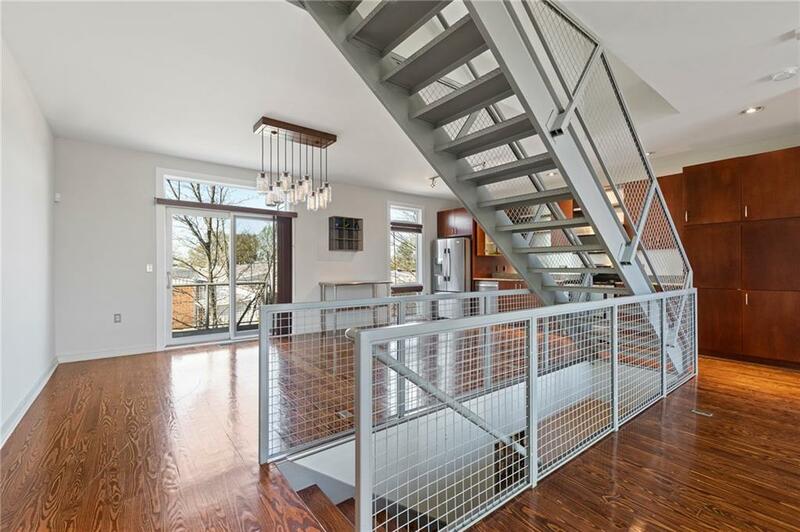 This Impeccable Large 3-Story Townhome Offers 20 Ft Ceilings And 2 Story Windows Which Flood The Home With Natural Light, Industrial Steel Staircase, Huge 3rd Floor Bonus Loft Space With Custom Draperies / Home Office Space + Rear Garden & Upper Deck. Newer Kitchen And Beautifully Renovated Master Bath W/ Heated Floor + Hardwoods THROUGHOUT! Gated Community W/ Gym, Saline Pool, Clubhouse, Dog Park & Nature Preserve. Window Treatments Included/Epoxy Garage Floor/2 New HVAC Units! Close To Restaurants & Beltline Plan. Directions: From Midtown, Go West On 14th St. Right On Howell Mill. Left On Huff Rd. Right On Marietta Blvd. Right Into M West Complex. Once You're Inside The Gate, Make A Left And The Unit Is Straight Ahead At The End.